The process of including preconstruction mockup testing in the project starts with the bid documents. These must include as much information as possible about the mockup testing program. If added later, it will cost far more and may seriously harm the schedule. Get the preconstruction mockup testing into the job while competitive pressures are still in play. Include a drawing of the preconstruction mockup in the bid documents. It can be a simple sketch, but it needs to show all dimensions and the fenestration of the mockup. What area should the mockup include? The idea of preconstruction mockup testing is to test as many conditions as possible, in the largest sizes found on the job. This may involve designing a hybrid contraption. It may have, all in one assembly, fixed windows, operable windows, balcony doors, all mullion types. receptor system, splices, stacking mullions, corners, slab covers, sunshade penetrations, window washer tiebacks (ISAs), sloped areas, and whatever else may be found on the job. If new extrusion dies were created for the project, be sure to include them in the preconstruction mockup testing. Preconstruction mockup testing at Mid-America Test Lab in Missouri for 505 N. State project in Chicago. 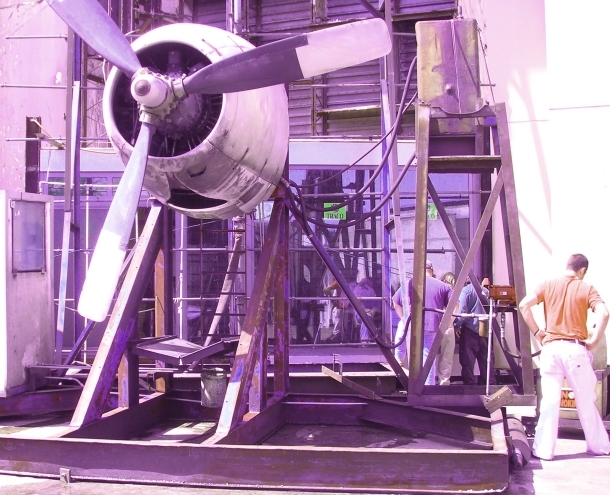 The mockup is dwarfed by the airplane engine used for the dynamic water test. What tests should be included in the preconstruction mockup testing? Most mockup test procedures begin with opening, closing and locking all operable elements. Then a static air test, followed by a static water test are performed. At this point the creativity of the architect can be expressed. For example, the next test might be a dynamic water test followed by an air infiltration test. This could be followed by a structural test at design pressure, another static water test, then a concluding structural overload test at 1.5 times the design pressure. Be sure to include not only the preconstruction mockup tests which will be performed, but also the corresponding ASTM test method as well as the performance criteria. A frequent misunderstanding is that if the ASTM method is listed, the architect’s job is done. Not true. ASTM provides test procedures, but rarely does it provide the passing criteria or the test pressure. When writing specs for preconstruction mockup testing, be sure to include all of the information to avoid embarrassing fights and disputes later. 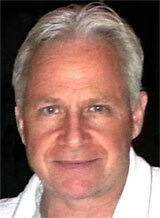 Tests and performance levels must be selected based upon relevancy to the job. Seismic tests and hurricane tests which include missile impact and pressure cycling can be specified for some geographic areas. These tests are usually done at the end of the preconstruction mockup test sequence because they can destroy the mockup. Pictured from left: Robert Hudziak and Dave Wilhelm from Reflection Window Company, Chicago and yours truly. We are at the Traco factory test facility in Cranberry, PA. performing preconstruction mockup testing on a three-window wide mockup for a new project in New York City. 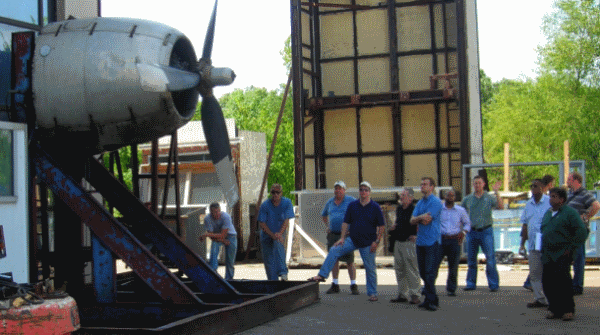 What does preconstruction mockup testing cost? Overall costs including material, labor and lab costs can vary from $15,000 to $200,000 depending upon the size and tests selected. Such costs include the material, labor, lab costs and travel costs. This is why it is important to build and test what your project realistically needs. On the other hand, the mockup test can reveal system weaknesses that can be enormously costly and devastating to the project and the schedule if not caught early. This is why preconstruction mockup testing is considered to be inexpensive insurance on large projects. How does preconstruction mockup testing affect the construction schedule? First a brush-up on your construction scheduling terminology. “Parallel” activities are activities that can occur at the same time without depending upon completion of other activities. “Dependent” activities are activities that can not begin until some other activity is completed. When some windows are being manufactured while others are being shipped while others are being installed, these are parallel activities. When manufacturing of the windows can not start until the architect has approved the shop drawing submittals, the manufacturing is a dependent activity. It depends upon architect approval. Applying this to preconstruction mockup testing, there are many ways to blend a preconstruction mockup into the overall construction schedule. For instance, production of the mockup shop drawings can run parallel to production of the overall window shop drawings. However, there will be a need to incorporate anything learned at the preconstruction mockup testing into the final window shop drawings. This can be done by making the final approval of the project shop drawings dependent upon passing of all testing and incorporation of information from preconstruction mockup testing into the final shop drawings. Even with carefully managing the critical path, adding preconstruction mockup testing can add two to three months to the construction schedule. One way the architect can assist in managing schedule is to specify either the shop drawing and production schedule or the maximum durations of certain key activities. Actual construction schedule for a Chicago high rise. This complex job had new extrusion dies, preconstruction mockup testing and a tight schedule. We were able to have the design and production of the new dies and the mockup run parallel with production of the project shop drawings, followed by the preconstruction mockup testing. When the testing completed successfully, any changes were incorporated into the project shop drawings and manufacturing started. 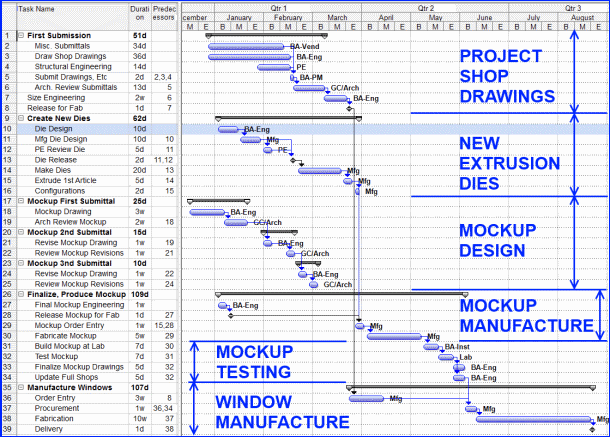 The new dies and mockup added 9 weeks to the overall schedule. I have seen window/curtainwall consultants (before I became one) used as an assistant to the architect or owner in producing or checking construction documents, a reviewer of submittals and as a witness to the actual testing. With my clients I also promote an expanded role: as a witness and documentor of the mockup installation process. If a consultant just shows up to see the preconstruction mockup testing, all of the fastenings, internal seals, baffles, gaskets, drains, etc. are buried and concealed from view. How useful will that consultant be when a problem is later found in the field? On a more positive note, if successful internal seals are documented and made known to the GC and others, ongoing quality control will be that much easier. More educated eyes on the work will improve quality! Who should witness the preconstruction mockup testing? I have seen rather large crowds show up for the mockup testing, especially if something dramatic will be occurring such as structural overload to destruction, dynamic water tests, seismic tests, hurricane tests and blast tests. But who really needs to attend? Answer: all the key stakeholders. This includes a representative from the window or curtainwall manufacturer, the installers (especially important when something goes wrong), the consultant, the architect, the general contractor and the owner. Pre-testing is a practice wherein prior to the official witnessed test, an early round of air or water testing is performed in order to flesh out any inital problems with the test specimen or test chamber prior to having all the witnesses present. Some specifications prohibit pre-testing and some are silent on the subject. My opinion is that as long as the consultant is present to witness the pre-test and document any corrections that are made, pre-testing is a good idea. The pre-test could reveal a serious problem that might require a new part to be sent from the factory or even complete tear-out of the mockup. I have seen this happen. It is wasteful to have witnesses travelling distances and booking into hotels just to have to turn around and leave again. 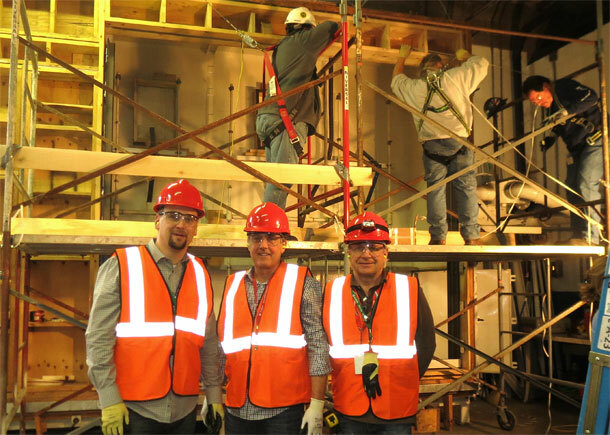 Design professionals and owners should recognize that preconstruction mockup testing is a highly specialized field and the only “school” you can learn it is in the testing laboratory itself. I have spent over a year of my career in window & curtainwall mockup testing laboratories, and so I tell you this with experience: If you want to ensure success of your important construction project, utilize preconstruction mockup testing and get an experienced consultant to help you implement this critical program. Need help with preconstruction mockup testing? I placed a time lapse camera at various places during the work. Here, the camera is mounted to the top of the tall testing wall.